I will be the first to admit that I like the gear side of photography. Actually, my wife might be the first one to admit that I like all the gear that accompanies photography. Over the years my kit has spanned Olympus, Canon, Panasonic, Nikon, Leica and most recently Sony. 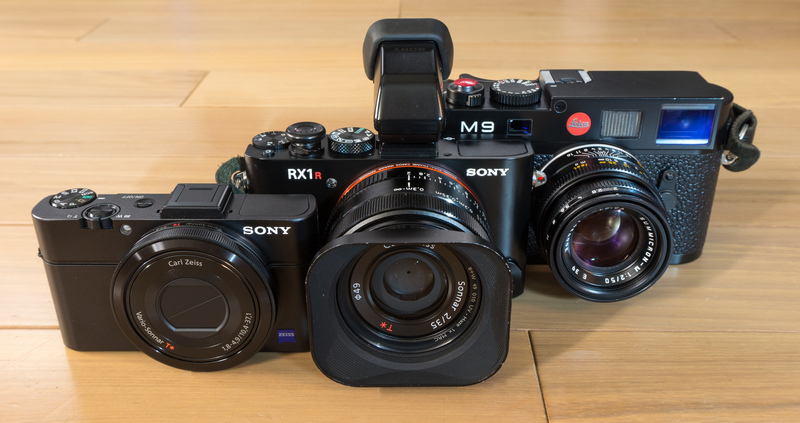 When the Sony NEX cameras first came out I was intrigued by the idea of a small body housing a large sensor; aside from the quirky Sigma DP1 I can’t think of another digital camera that had such a large sensor is such a small body at the time. Technology has evolved and given us some interesting choices lately, to the point where you can find a full frame sensor in something half the size of a traditional APS-C DSLR. The options for photographers are getting better and better. As a side note it was a very, very difficult choice to set down the Ricoh GR in favor of the RX100II. I have only had the RX100II in my hands for a day, but I can see a huge amount of potential from this tiny camera. Nice line-up. Waiting for some sample photos from the RX100II.